Problems sending and receiving email messages can be frustrating. If you get a non-delivery report (NDR), also called a bounce message, for error code 550 5.1.10, this article can help you fix the problem and get your message sent. [ ] I got this bounce message. How do I fix it? [ ]I'm an email admin. How can I fix this? The recipient's email address doesn't exist or couldn't be found. Go to the I got this bounce message. How do I fix it? section in this topic. A spammer sent a message to a non-existent recipient, and they falsified the From address so it appears the message was sent by your email address. The resulting bounce message that you get is called backscatter, and you can safely ignore or delete the bounce message. Backscatter itself is harmless, but if you're getting a lot of it, it's possible that your computer or device is infected with spam-sending malware. Consider running an anti-malware scan. Additionally, to help prevent spammers from impersonating you or others in your organization, ask your email admin to read this topic: Set up SPF in Office 365 to help prevent spoofing. Open the bounce message. In the Report tab, choose Send Again. If your original message had an attachment larger than 10 MB, the Send Again option might not be available or might not work. Instead, resend the message from your Sent Items folder. For more information, see Resend an email message. In the new copy of your message, select the recipient's email address in the To box and then press the Delete key. In the To box, start typing the recipient's email address until it appears in the Auto-Complete drop-down list as shown below. 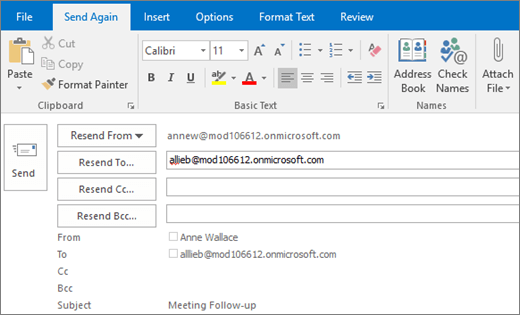 Use the Down Arrow key to select the recipient from the Auto-Complete drop-down list and then press the Delete key or choose the Delete icon to the right of the email address. In the To box, continue typing the entire recipient email address. Be sure to spell the address correctly. Open the bounce message. In the reading pane, just below the message header information, choose To send this message again, click here. If your original message had an attachment larger than 10 MB, the Send Again option might not be available or might not work. Instead, resend the message from your Sent Items folder. On the To line of the new copy of your message, choose the Delete icon delete the recipient's email address. On the empty To line, start typing the recipient's name or email address until it appears in the Auto-Complete drop-down list. Use the Down Arrow key to select the recipient from the Auto-Complete list, and then press the Delete key. Or, hover over the recipient's name and click the Delete icon . On the To line, continue typing the recipient's entire email address. Be sure to spell the address correctly. 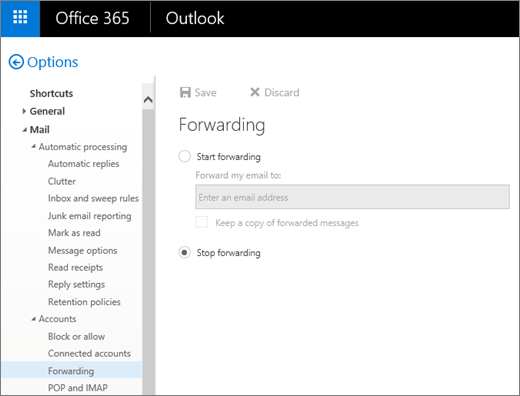 Office 365 supports multiple ways to forward messages automatically. 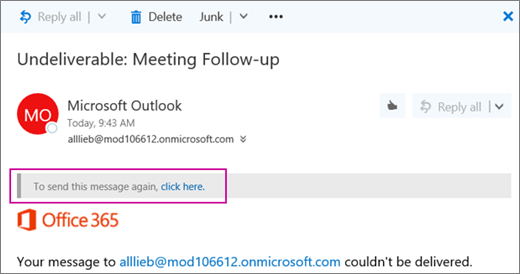 If the intended recipient of your message is using Office 365, ask them to review the Update, disable, or remove Inbox Rules forwarding and Disable account forwarding sections below. If the problem persists after performing these steps, ask the recipient to refer their email admin to the I'm an email admin. How can I fix this? section below. In Office 365, sign in to your user account. Click the gear icon in the top right corner to show the Settings pane. Select Your app settings > Mail. From the Options navigation pane on the left, select Mail > Automatic processing > Inbox and sweep rules. Update, turn off, or delete any rules that might be forwarding the sender's message to a non-existent or broken email address. Sign in to your Office 365 account, and from the same Options navigation as shown above, select Mail > Accounts > Forwarding. Select Stop forwarding and click Save to disable account forwarding. If the sender can't fix the issue themselves, the problem might be that an email system on the receiving side isn't configured correctly. If you're the email admin for the recipient, try one or more of the following fixes and then ask the sender to resend the message. In the Office 365 admin center, choose Users to go to the Active users page. In the Active users > Filters search field, type part of the recipient's name, and then press Enter to locate the recipient. If the recipient doesn't exist, then you must create a new mailbox or contact for this user. (For more information, see Add users individually or in bulk to Office 365 - Admin Help.) If the recipient does exist, make sure the recipient's user name matches the email address the sender used. 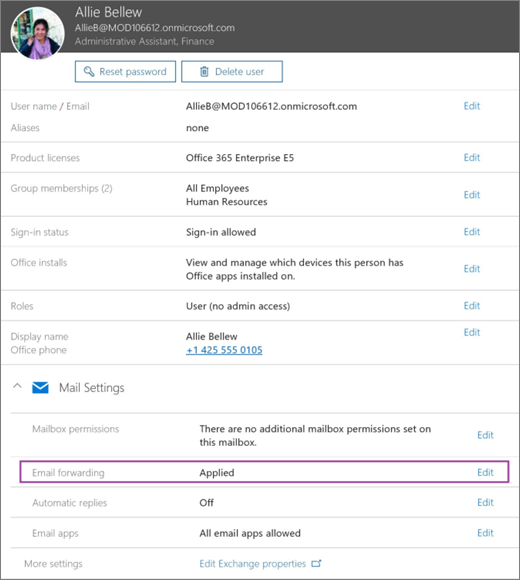 If the user's mailbox is hosted in Exchange Online, click the user's record to review their details and verify that they've been assigned a valid license for email (for example, an Office 365 Enterprise E5 license). If the user's mailbox is hosted in Exchange Online, but no license has been assigned, choose Edit and assign the user a license. Follow the steps below to fix the recipient's broken mail forwarding rule or settings. The recipient might have an Inbox rule that is forwarding messages to a problematic email address. Inbox rules are available only to the user (or someone with delegated access to their account). See Update, disable, or remove Inbox Rules forwarding for how the user, or their delegate, can change or remove a broken forwarding Inbox rule. In the Office 365 admin center, choose Users. In the Active users > Filters search field, type part of the recipient's name and then press Enter to locate the recipient. Click the user's record to view its details. From the user's profile page, select Mail Settings > Email forwarding > Edit. Turn off Email forwarding and select Save. Unlike Inbox rules which are associated with a user's mailbox, mail flow rules (also known as transport rules) are organization-wide settings and can only be created and edited by email admins. In the Office 365 Admin center, select Admin centers > Exchange. In the Exchange admin center (EAC), go to Mail flow > Rules. Look for any redirect rules that might be forwarding the sender's message to another address. An example is shown below. Update, turn off, or delete any suspect forwarding rules. Message routing (especially in hybrid configurations) can be complex. Even if changing the accepted domain setting fixes the bounce message problem, it might not be right solution for you. In some cases, changing the accepted domain type might cause other unanticipated problems. Review Manage accepted domains in Exchange Online and then proceed with caution. If the accepted domain in Exchange Online is Authoritative: The service looks for the recipient in the Exchange Online organization, and if the recipient isn't found, message delivery stops and the sender will receive this bounce message. On-premises users must be represented in the Exchange Online organization by mail contacts or mail users (created manually or by directory synchronization). If the accepted domain in Exchange Online is Internal Relay: The service looks for the recipient in the Exchange Online organization, and if the recipient isn't found, the service relays the message to your on-premises Exchange Organization (assuming you've correctly set up the required connector to do so). When setting an accepted domain to Internal Relay, you must set up a corresponding Office 365 connector to your on-premises environment. Failing to do so will break mail flow to your on-premises recipients. For more information about connectors, see Configure mail flow using connectors in Office 365. If you have a hybrid configuration with an Office 365 connector configured to route messages to your on-premises environment, and you believe that Internal Relay is the correct setting for your domain, change the Accepted Domain from Authoritative to Internal Relay. Open the Exchange admin center (EAC). For more information, see Exchange admin center in Exchange Online. 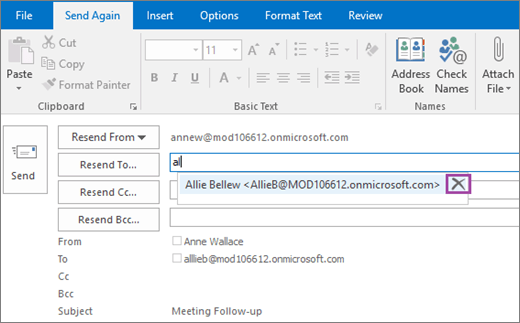 From the EAC, choose Mail flow > Accepted domains and select the recipient's domain. In the Accepted Domain dialog box, set the domain to Internal Relay, and then select Save. Log into the on-premises server that's running the Directory Synchronization Tools. CD "C:\Program Files\Microsoft Online Directory Sync"
When synchronization completes, repeat the steps in the Verify that the recipient exists and has an active license assigned section to verify that the recipient address exists in Exchange Online. If you have a custom domain (for example, contoso.com instead of contoso.onmicrosoft.com), it's possible that your domain's MX record isn't configured correctly. 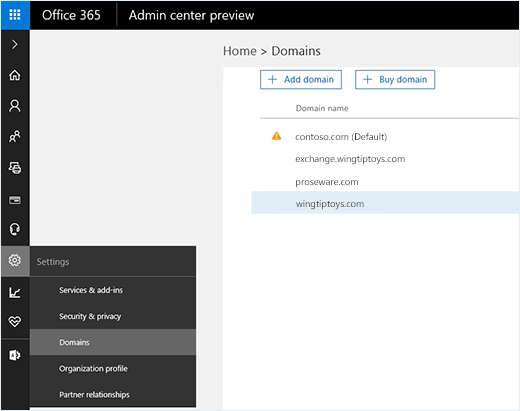 In the Office 365 Admin center, go to Settings > Domains, and then select the recipient's domain. In the pop-out Required DNS settings pane, select Check DNS. Verify that there's only one MX record configured for the recipient's domain. Microsoft doesn't support using more than one MX record for a domain that's enrolled in Exchange Online. 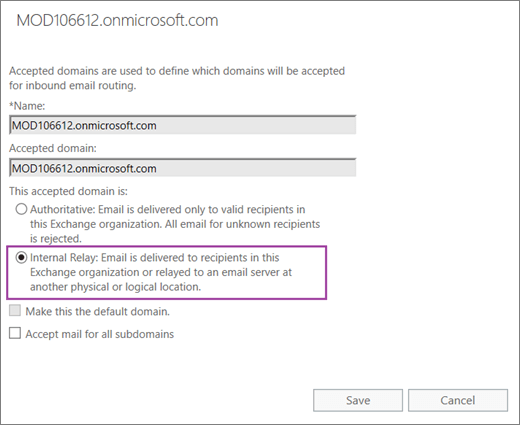 If Office 365 detects any issues with your Exchange Online DNS record settings, follow the recommended steps to fix them. You might be prompted to make the changes directly within the Office 365 admin center. Otherwise, you must update the MX record from your DNS host provider's portal. For more information, see Create DNS records for Office 365 at any DNS hosting provider. Typically, your domain's MX record should point to the Office 365 fully qualified domain name: <your domain>.mail.protection.outlook.com. DNS record updates usually propagate across the Internet in a few hours, but they can take up to 72 hours. Still need help with a 5.1.10 bounce message?